Polyurethane and Rubber Rollers which not only have excellent bearing life, but also have good adhesion to the hub to assure a quiet ride. 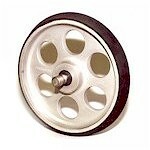 We Manufacture Rollers; Guide Rollers, Door Hanger Rollers and Escalator Rollers, In Stock for Immediate Shipment!!! 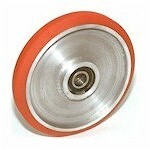 All Rollers Meet or Exceed O.E.M. 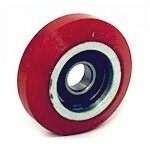 Specifications with Aluminum or Steel Hubs. Soft Poly or Hard Poly to Your Requirements. Custom Work Welcome. 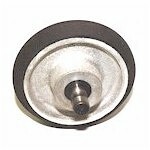 Stock Guide Wheel Rollers 70-A Polyurathane, Door hanger, Escalator 90-A Polyurthane.